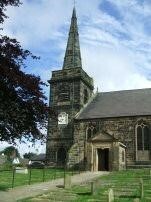 St Cuthbert's is steeped in history, our church being the oldest public building in Southport, and often regarded as the "Mother Church of Southport". We may be an historic church, and our heritage is important to us, but so is our future. Our church family offers a very warm welcome to everyone to share in the good news of Jesus Christ, the same yesterday, today and tomorrow. We are here for everyone whether you worship regularly with us, only occasionally or even not at all. We aim to welcome everyone to share in our Church life, to be here to help you celebrate your weddings and basptisms and to offer support and comfort at times of bereavement. 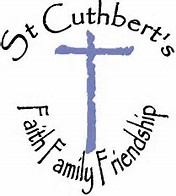 As you browse through our website, using the menu at the top of the page, we hope you will get a "feel" for St Cuthbert's - our worship, fellowship, mission and activities. The boxes at the bottom of this page will also keep you bang up to date with worship, events and news. We would love to welcome you and get to know you more. Saturday 11th May 10.30am -12noon Enjoy coffee and a teacake with friends and family. Raffle, Plants, Books, Tombola. Holy Week Across the North Meols Team. Services being held at the churches in our Team. 12th - 18th May Christian Aid Week. Help the needy in this world delivering and collecting envelopes on behalf of Christian Aid. Monthly Prayer Sets - A time to join together to pray for the theme for the month or to bring and read your own or favourite prayer/s. There will always be space for silent or extempore prayer. Electoral Roll - All persons who are entitled to have their names on the roll must fill in a new application form. No names will be carried forward from the existing roll.